It’s official – marathon season is officially here! From your local race in the city you live, to the World Major’s going on all around us, wherever you look there is marathon fever! 26.2 miles is no walk in the park though, and the right preparation could be the difference between having the race of your life to a very uncomfortable jog. Luckily for you – we’re here with 10 tips and tricks to ensure a fun first marathon! Why not start with a fun one! 26.2 miles is a long way and requires mile after mile of training and practice races. Music – or sound – is a super powerful tool and the right playlist can help pass the time while training. Start your marathon journey by putting together the ultimate motivation playlist – whether it’s dubstep or Katie Perry – we won’t judge! You can even try some podcasts. 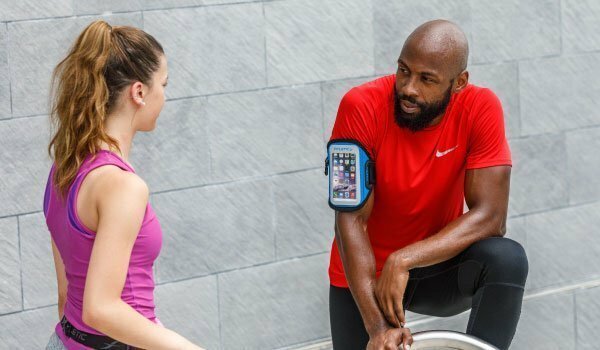 To make your playlist portable, check out the Surge Running Armband. It will keep your phone securely in place while also having room for your keys! Even if you plan to walk the mileage, training is so important to prevent injury, fatigue and exhaustion. Training programs will vary from runner to runner, but generally speaking – the farther the race, the more miles you need to cover. Build your training up over about 6 months with at least one long run a week that eventually will be the same length as your race. The number one rule for life let alone marathon running, staying hydrated is so important to make sure your body is running happily and healthily. How much you’re meant to consume is related to your body size and pace, the heat and humidity, and your sweat rate – but you don’t want to drink too much and have it slosh around your stomach. Current research suggests an intake of no more than 24 to 28 ounces per hour, although most runners take in 16 ounces. 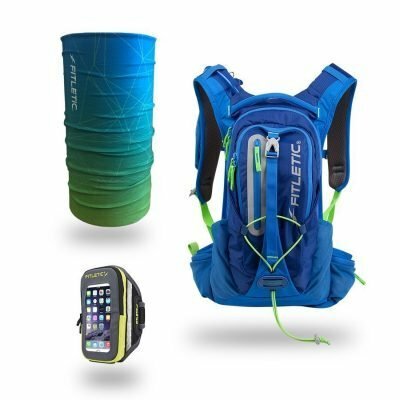 If you don’t want to stop at the aid stations for your liquids, think about adding them to your running belt, or opting for a style that stores water like the Hydra 16 Hydration Belt. If you look good, you feel good. And if you feel good, you race good! This may consist of a rad Sparkle Athletic skirt, or a brand new racing vest you’ve bought specially for the occasion! Whatever choose – start with the most important thing – your shoes. Look for something lightweight, cushioned, and supportive. You may want to test out a variety of drops too (e.g. how far your toes drop below your heel). Whatever you pick – make sure you’ve tested them out before you get to the start line. Blisters are no fun for anyone! We’re not talking about coffee here. You’ll be burning A LOT of calories (about 2,100 – 2,600!) during the course of a marathon, so to prevent exhaustion you need to be taking in as many as you’re putting out! Race and training fuel range from energy drinks, to gummies and gels, to waffles and bars, and can differ in success from runner to runner. Try a variety of different ones – like Honey Stingers Waffles to Gu Originals – but aim to take in about 30 to 60 grams of carbohydrate intake per hour during endurance exercise. Need an easy to access place to store it? 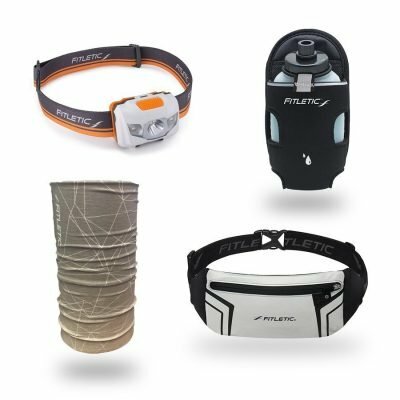 Our race belts – like the NEO Racing Belt – features a stretchy pouch to fit race gels, or you can add a Recharge Gel Add-On to your existing belt for more gel storage! The power of the mind is an incredible thing! Many elite runners will imagine running the course many times over before getting on the start line. This can work for you too! Whether it’s a particularly challenging part of the race (maybe a steep hill or really curvy bit), or just imagining crossing the finishing line, close your eyes and see yourself there. When you’re down on energy and feeling far from the end, this may be the thing that can help pull you back to a (successful!) reality! This one speaks for itself! Those miles will fly by if you have some friends/family dotted around the course – or even running with you! Most courses are built to be spectator friendly, so they should be able to spy you a number of times to operate as your cheering squad and give you that extra boost of energy! 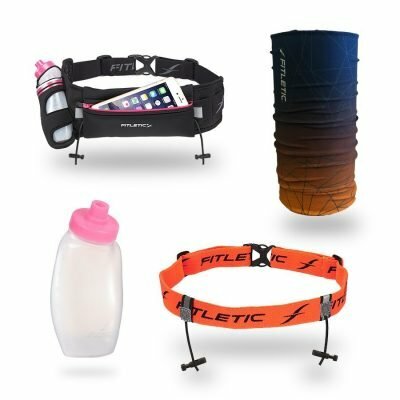 If you want to avoid those race day nerves (or sprints to the bathroom! ), it’s a great idea to run some practice races in the lead up to your marathon. They don’t have to be a full 26.2, but throwing in some 5ks – or even 10ks – every month or so will give you a boost of confidence and motivation going into the real thing! Anyone remember 2018’s Chicago Marathon? Think heavy, unrelenting rain and wind. You can have done all the prep in the world – but you can’t predict the weather! It’s super important therefore to bring options for any extreme condition: a lightweight but protective rain coat for wet days, and a full cover hat or visor for those hot, sunny ones. Pick something that’s breathable and lightweight so you don’t even feel it on the course. 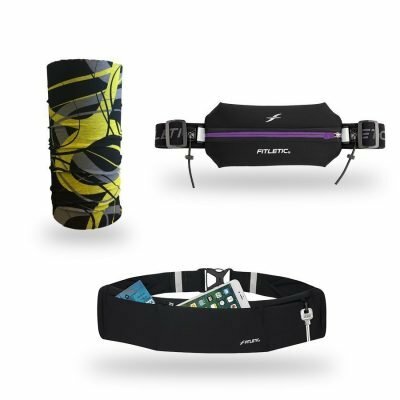 Although there will be race markers throughout the 26.2 miles, it’s a great idea to bring some form of tech along to make sure you’re hitting your pace goals and monitor your heart rate. Some may opt for a wrist worn style like the Garmin, and others like to keep it on their phone. 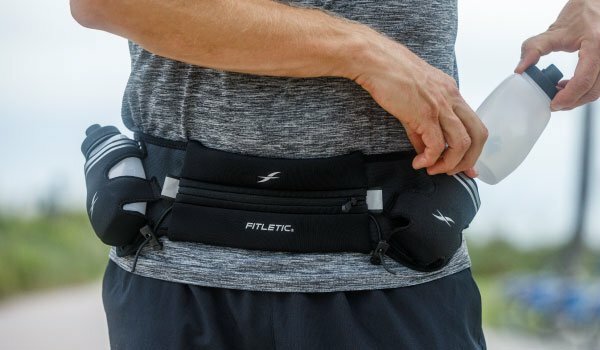 Fitletic’s SmartCase Smart Phone Holster fits on to any of our belts to keep your cell phone – and any fitness apps like Strava – handy for any amount of miles. 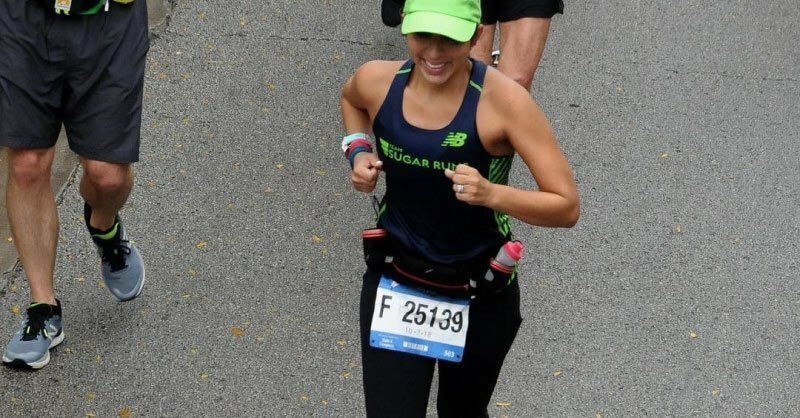 What are your best marathon tips? Tell us in the comments! Amazing post guys! I completely agree with the points that you shared. 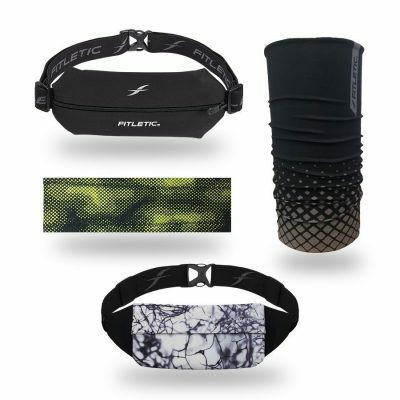 They would help any aspiring runner to prepare for their marathon. A proper balance of training and support from your peers, friends, family and mentors is all you need to give it your best shot!